Despite mother nature giving us a few somewhat not ideal days we have had a good start to this fishing holiday here in the Florida Keys. This is Geoff, Simon and Robins second trip in 12 months last here in April with not one but two three hour fights both with monster tarpon. This time not so many 4 am starts and a bit cooler but on that front south Florida is having a record warm start to 2013 and broke the number of days over 80 for the winter. 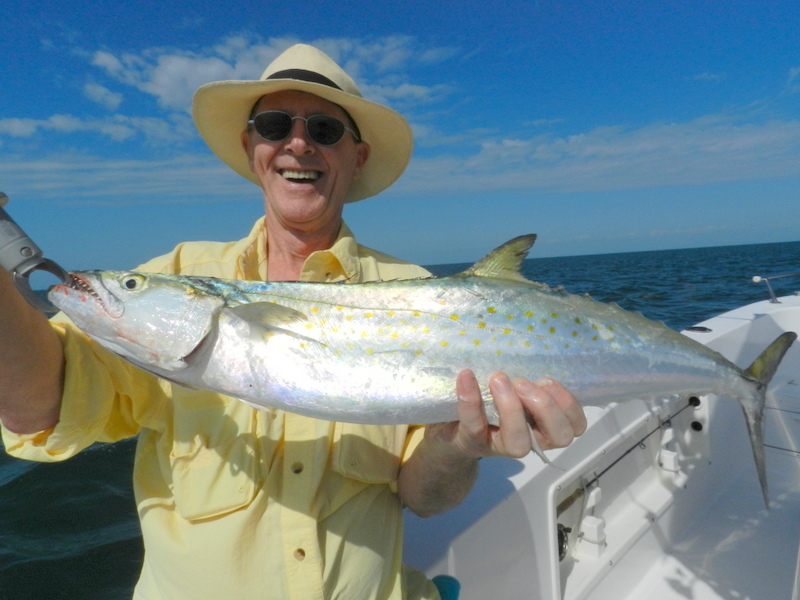 So to the fishing, well this time of year getting bait is so much fun mackerel and bluefish not as many as in a normal winter but constant rod bending fun and as all are avid fly fisherman many on the fly what a cool way to get bait. 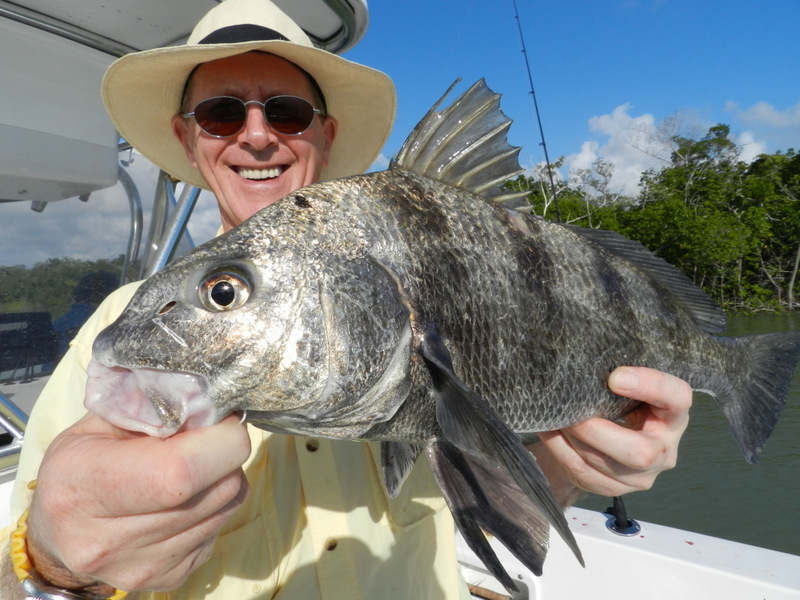 The other day the plan was to get bait, go for goliath grouper then when it turn wind against tide go to a deep shark channel and target lemons on fly. Well it nearly came off we had goliath up to 50 lb then it turn nasty and into the deep channel but the weed was far to bad, looking at the charts we were only 10 miles from the Everglades where it is always calm and the tides were ok so off we went. Very rough seas to get there but the cat just pushes through and once in the Everglades are just magical, to see a very pink flamingo flying in a very blue sky just so cool. We fish the incoming tide not the best and the water was very dirty after the bad weather but soon found the fish. Not the snook or redfish we had hoped for but very hard fighting drum and sheepshead and they knew how to use the strong tide very well. So not a complete plan A day but fish all day long and bent rods and plenty of smiles just what a day’s fishing should be oh and warm and dry as well. Many years ago I was very interested in a rod used by Bushy on the Rex Hunt fishing show then while buying some guides for a rod I found a company here in the US was making rods with spiral guides calling them Acid Rods. The only problem with all the guides on top of the rod when using a multiplier is that all the forces are trying to turn the rod upside down and this often results in a rocking action so I have made one. 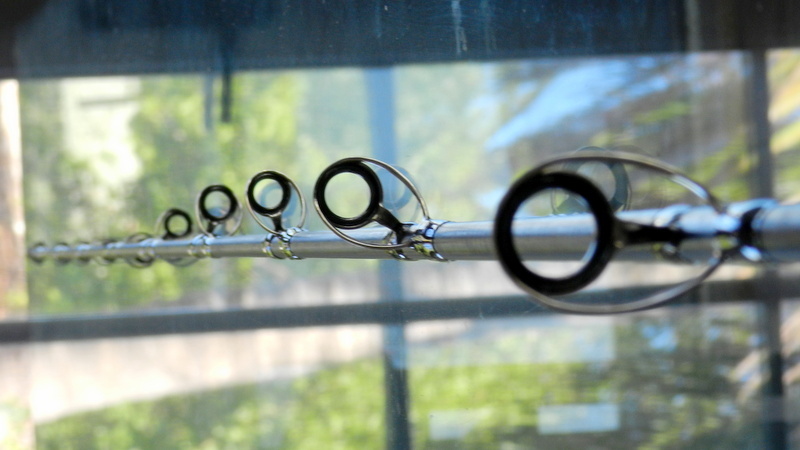 By having the last few rings facing down all this has gone and you have a very stable rod. 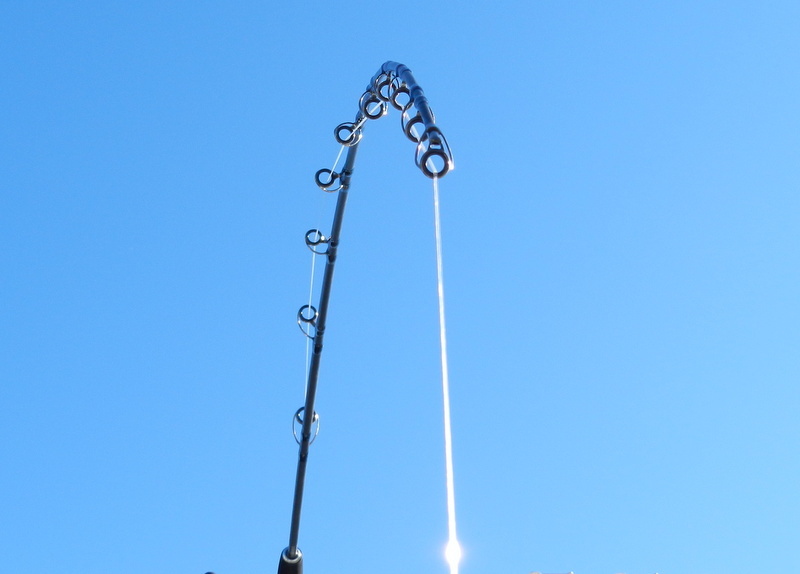 I have even read a blog by a guy why had bad arthritis and could not fish a multiplier but now can using one of these rods time will tell the rod is going for its sea trails today. 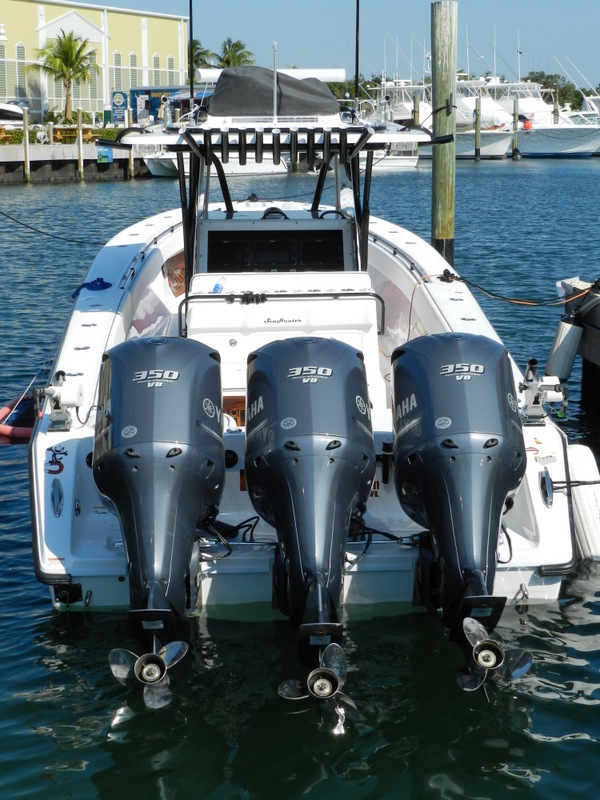 Went down to Key West to see Snowbee’s team in the big SKA comp did not go out this year our boys were going some 80 miles in very rough seas and I have guests all this week as the skip said no boat lands well and in 5 ft seas they still do 60 + mph. At the finals this year boats came from 11 states some guys hauling thousand + miles and this is a 30 ft + boat with three or more very large engines just amazing. So starts 2013 my first guys are here in the Florida Keys and good to go, up at 5 am to be greeted by a not to good forecast up to 20 mph winds from the east just have to put the thinking hat on. It was strange to wake up yesterday morning and read all the emails and tweets have you seen your picture on WSF website well at 5 am the answer was no not yet. 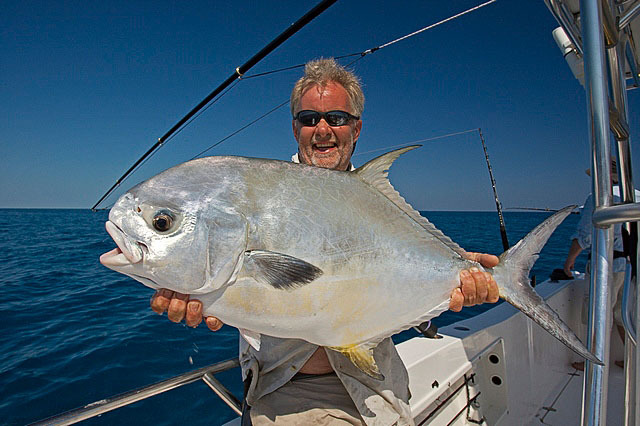 My photo was up on Henry Gilbey’s feature on grip and grin photography, Henry has been over to our base here in the Florida Keys now a few time and it is hard to find a guy who is more full on than Henry just a fishing junkie. He works the camera just as hard as his fishing rods maybe harder and the results are always top draw. Take heed of his features on photography it is the one thing you want from a great day fishing is a good photo, what I have learnt from Henry just take a loads then edit the best ones and concentrate on the fish’s eye. The picture of me was holding one of our fine wreck permit each year hundreds of them spawn on the deep wrecks off Marathon but it is not all plain sailing at all. Along with the permit come hundreds of shark why chase your food when the angler will do the job for you. Nearly all our takes are near the surface and on light spinning rods the fish go straight down and that’s when it gets scary. Last year it was not that bad and we had some fun days it fact it seems once my guys on fishing holidays have had their 100 lb tarpon they just love the big permit. In over 100 ft of water the just keep going down and at such a speed I have even had to put water over reels to cool down the drag now that’s fishing. The shark can be a real pain and if they are there in numbers you just have to leave, the permit come from far and wide and it is just not right to kill so many fish which might live on small flats. The permit in the second picture was hit by two shark the top bite from a big shark and the bottom bite judging from the size a very,very big shark such a shame when all we wanted was that special grip and grin photo. Sorry about the long delay between blogs the internet was very patchy on the island and I decided to have a week offline and totally chill. The only problem was coming back to over 200 emails and nearly 100 spam and after the bad virus a still very strange laptop fun not. The break was very good a lot of people think I have the dream job but just think about it, I have to look after the house, the car, the boat, all the tackle and every day have to work out where to go and what to do. 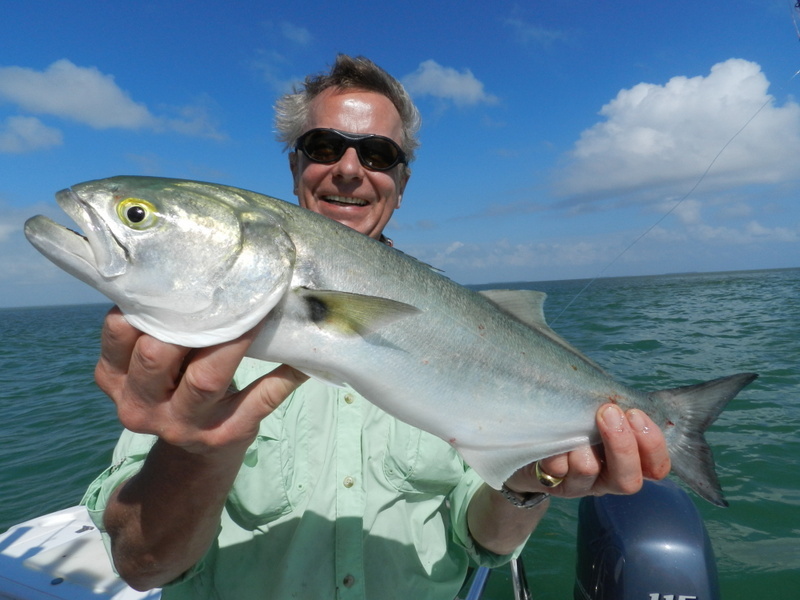 Yes I love running fishing holidays in the Florida Keys and at the moment there is nothing else I would rather do but stress levels do get very high. So a week off and just standing in the sand and warm water with a surf rod catching bonefish just what the doctor ordered. 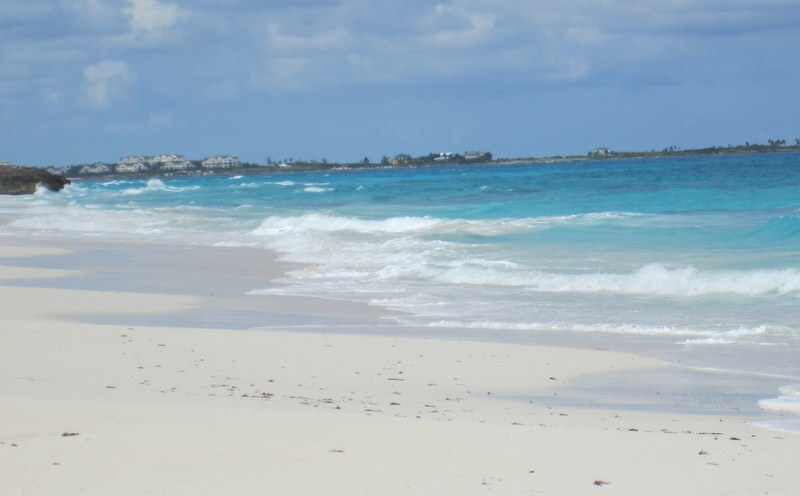 I have now been to the Exumas in the Bahamas three times now and just love the place for us it is just a one hour flight and a good way to use air miles so apart from a bag fee a free flight. 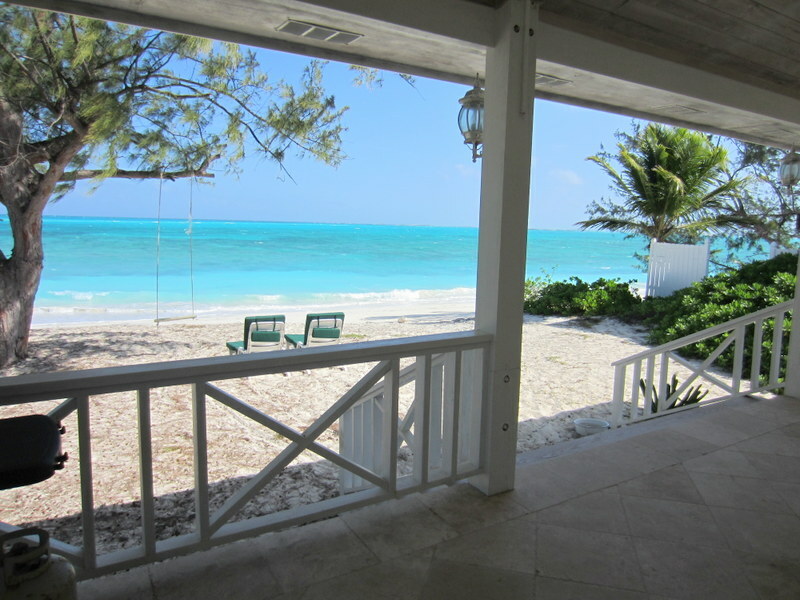 This year we found a beach cottage where every room opened on to the beach just stunning and as it says in the tourist book the best thing to do in the Exumas is nothing fine for Helen but for me it has to be the bonefish. Nothing big best was about 4 lb that was taken in a small creek but the power is very hard to explain I personally think pound for pound there is nothing to match bones even permit or tuna if they went to over 100 lb now that would be something else. Before you all go mad and book a holiday in the Exumas it does have its down side, car hire is bad $800 a week, gas $6 , food very poor and expensive we now take a bag with just frozen meats its that bad. We still go back and if you like to do nothing or just surf fish get in touch and I will let you know my hot spots. Best morning on the beach out side the cottage 9 bones and 2 snapper all before breakfast and on an other beach I was spooled by a shark should have loaded up with 30 lb. Well back in the Florida Keys after a mad start to 2013 computer still not fully sorted but getting there, Helen and I are going on a weeks break before the start to our fishing holidays which this year, our 9 th are bar just one week full till the end of the year. 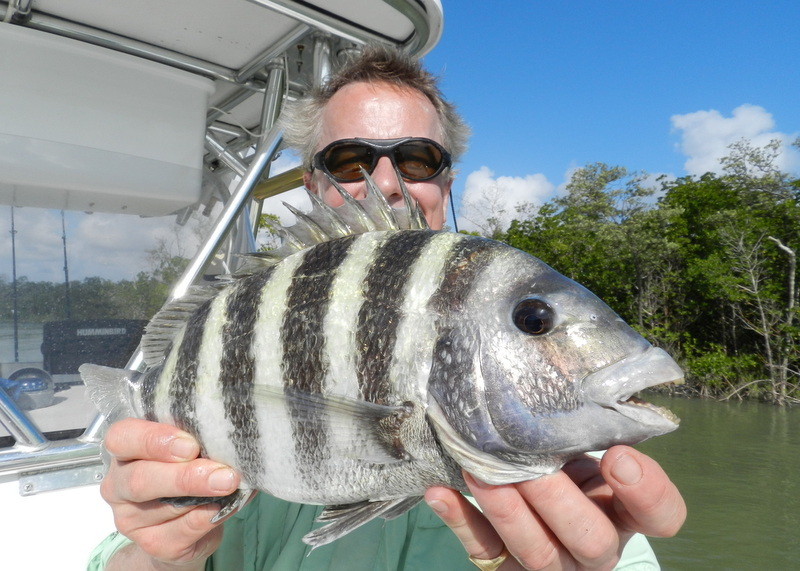 People often ask what I like to fish for and yes I am spoilt rotten in the Florida Keys with over 110 species to the boat and fish over 1000lb it is hard to say. 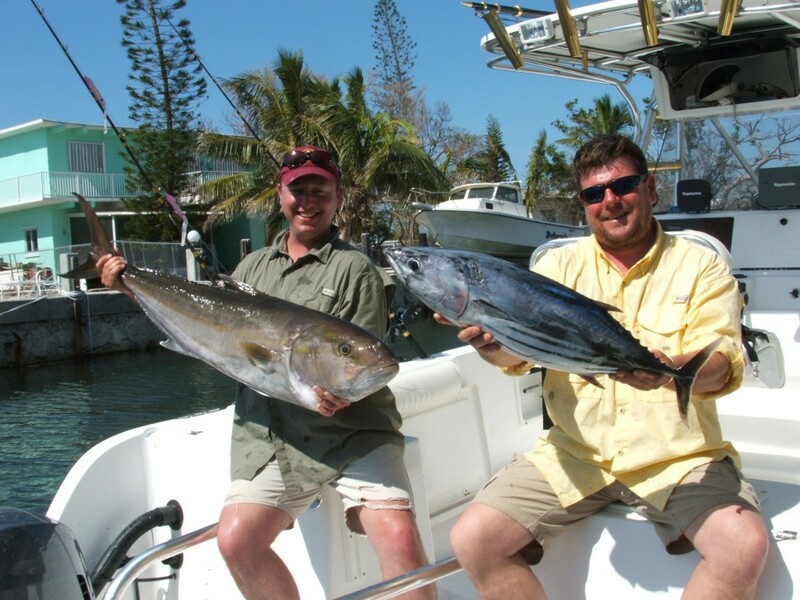 Strange as it may be the one and only thing I miss in the Keys is good old surf fishing next week we are going to the Exumas in the Bahamas just over 1 hr from Florida. Two years ago I found a stunning surf beach with a pounding surf and started getting hard knocks on my trusty 12 ft surf rod it took some time and I had to go down to number 1 hooks then I started to catch. To my surprise after a very hard scrap I had the fish on the sand a glistening 2 lb bone fish wow ! Miles from any flats and in churning surf bones were feeding and feeding hard game on. 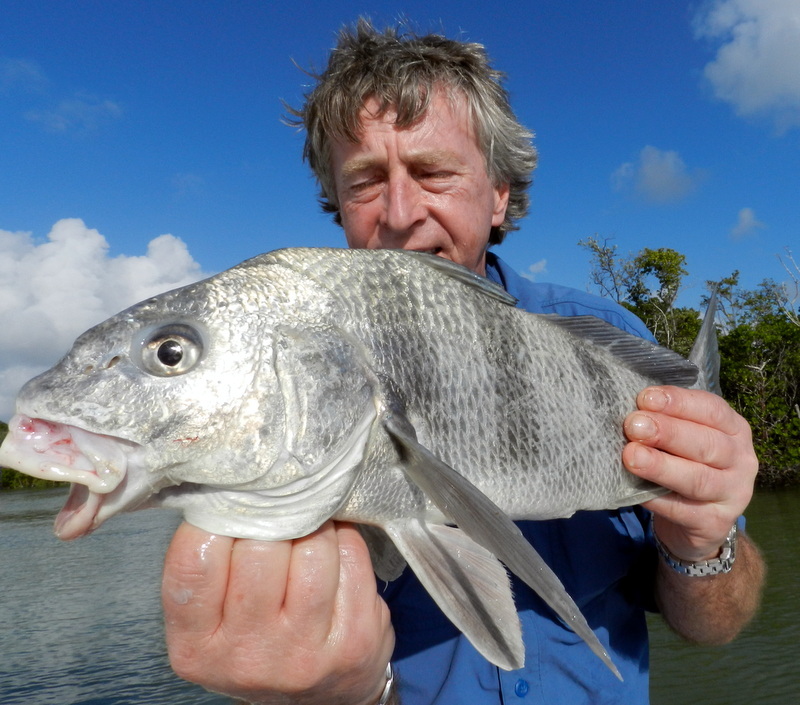 On the same beach I have had snapper to 12 lb and even a blacktip shark of about 50 lb now that was fun and the amazing thing no people I think in the three years I have fished there I have never seen an other angler just a couple of walkers. 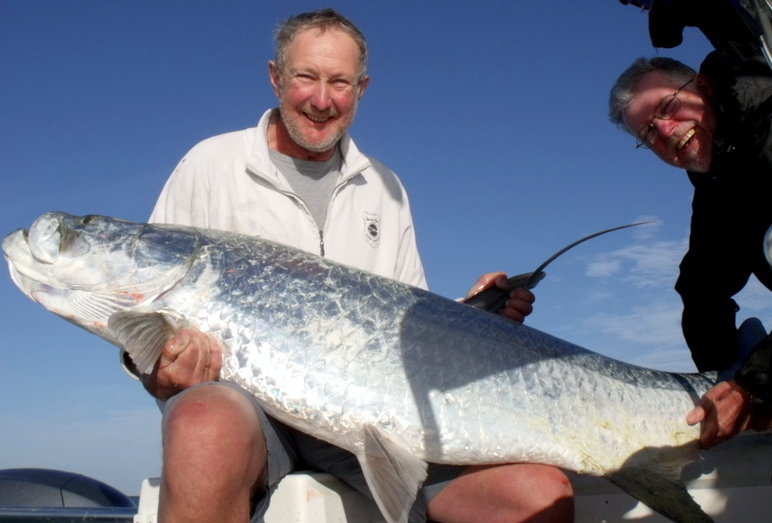 Back in the Keys the water is very warm and we are all hoping for an early start to the tarpon season two years ago Chris from Jersey had our first 100 lb fish of the season and that was on March 19 th. With the water so warm I think I will start looking Feb this year as they say you dont know till you go so we will go. Internet is very hard in the Exumas but I will try so if any one wants to get it touch please try but I will be back on 17 th Jan in the Keys. 2013 A Happy New Year ??? 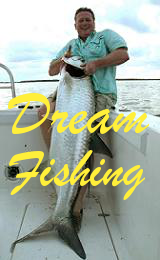 Firstly a very Happy New Year to all our past, present and future customers here at Fish the Dream fishing holidays in the Florida Keys on a personal not the best start to a new year at all. Started on new years eve as normal got up early fire started coffee made then start up the computer but it would not work. Try as I might it would not load anything something was very wrong, none of they self help stuff worked at all. When the rest of the house was up it was on to the help lines, dont you just love it when someone thousands of miles away says the bleeding obvious ( there is something very wrong in your start up files ) fine. Well to cut a very long and sad story short a massive virus had got into the start up systems and the only way to deal with it was to go back to default and wipe the computer clean. I know I am old school but I was paying top dollar for computer protection and file back up but my system were infected and I have lost a huge amount of files. Let this be a warning put your systems and files on hard back up it might happen to you and the last few days have been hell. If you think about jing and jang then what happened next was the pay back, we flew back on the 1st Jan and the plane was packed and my poor wife’s screen was not working and we were on the long 9 hr 50 min flight. After many reboots still nothing then the chief purser said get your bags and come with me and we went into Club Class top marks BA. Wow what a difference flat beds, food you can eat and so many toys, would I pay £3400 one way never but I will remember turning left for a long time. Back in the Keys I have a week working on more mods to the boat then Helen and I go a short break before the start to a very full 2013. I came across this pic last night and it shows what I like doing the most putting smiles on peoples faces. 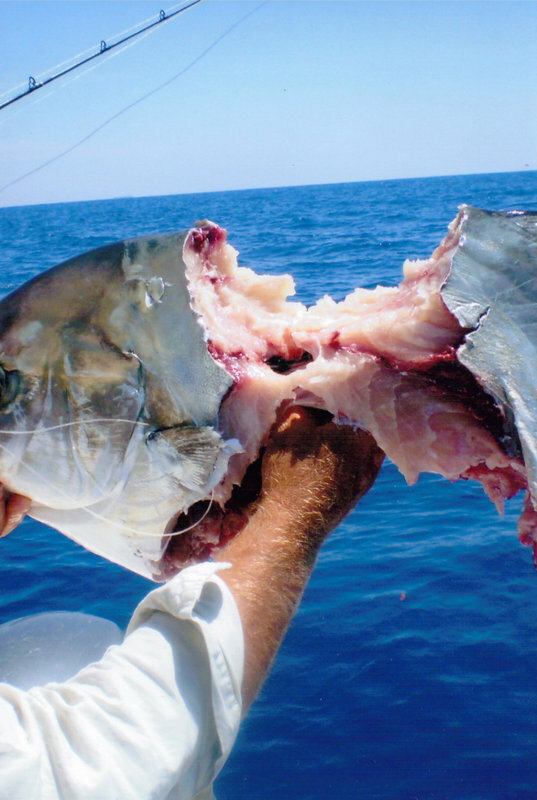 It was in 2005 and I had taken John and Scott out to the tuna grounds and after some fun with the tuna they asked can we put a bait on the bottom and try for an amberjack, Well its a long way down 500 ft at its shallow part the in drops to 1000 ft very quickly but as the bait touched the bottom the rod buckled over and it was fish on. This fish was not for coming up and every foot was a battle but in the end it was a joint effort and we had the fish in the boat, happy memories. Comments Off on 2013 A Happy New Year ?? ?